Swoon Romance puts together some gorgeous covers!! 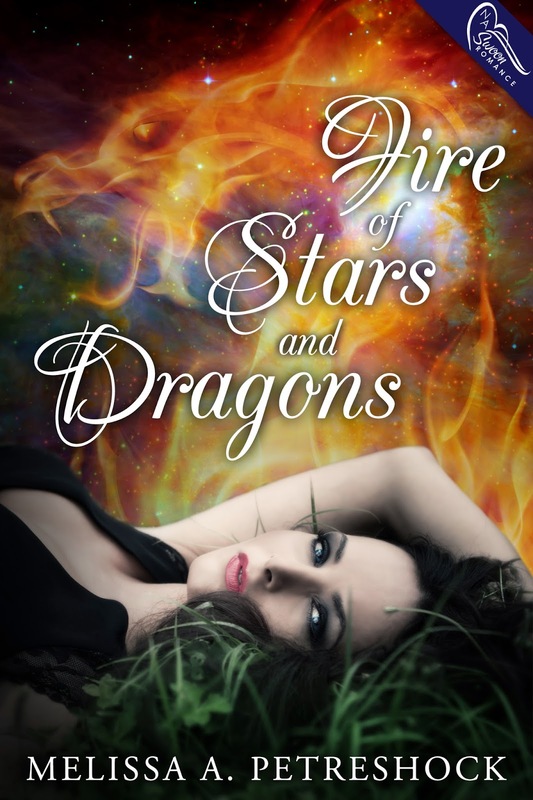 Today, I'm excited to be a part of the Cover Reveal for FIRE OF STARS AND DRAGONS by Melissa A. Petreshock, one of my friends and publishing sisters. The cover is absolutely gorgeous, and the book sounds intriguing. I can't wait! 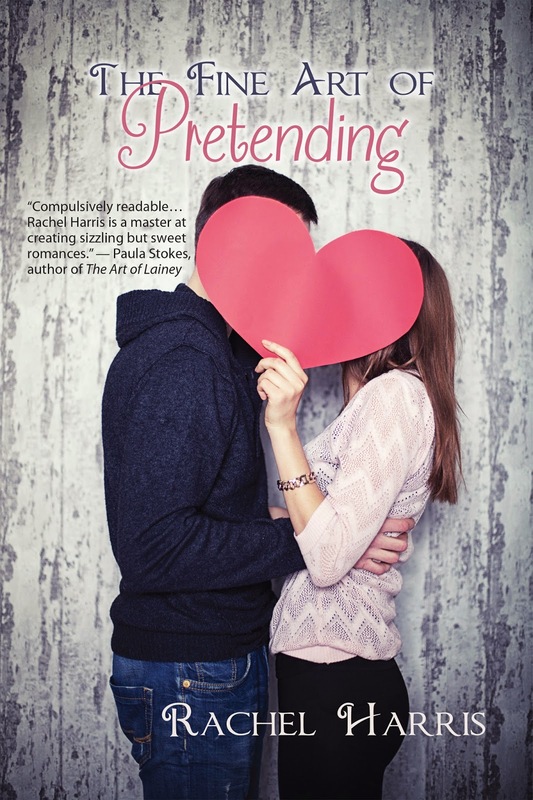 I am so excited to be a part of the cover reveal for Rachel Harris' THE FINE ART OF PRETENDING, coming this fall from Spencer Hill Contemporary!! As a part of Rachel's Flirt Squad, I've had the opportunity to read a few selected excerpts of this novel, and I'm already totally in love with Brandon and Aly. I can't wait to read the whole thing! But in the meantime, isn't this cover absolutely adorable? 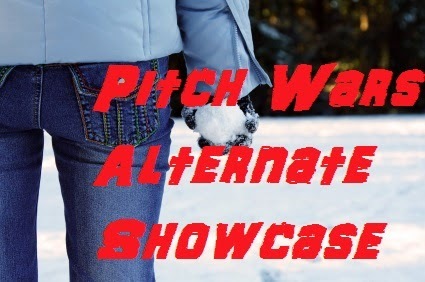 Welcome to the Alternate Showcase! Today I’m hosting some of the wonderful writers who participated in a six week boot camp where published/agented authors and industry interns mentored a team of writers to help them polish their manuscripts for agents. The mentors picked one to go into the agent round on Brenda Drake’s blog and two alternates in case their top pick dropped out of the competition. The alternates were amazing, so we wanted to do a showcase of their talent to reward them for their hard work. Following this post you’ll find the pitches for the writers I’m hosting. PITCH: Thirteen-year-old germaphobic Skyla faces a Mayan tunnel, a volcano, and an earthquake in Guatemala’s toxic dump to use her OCD skills and solve an epidemic before it kills her friend. PITCH: When Ellie McCoy’s dog snuffles up a severed human finger among the palmettos, the twelve-year-old is scared breathless—until she realizes that solving a real mystery will turn a same-old summer on quaint Maydock Island into an adventure worthy of Nancy Drew. PITCH: When twelve-year-old Katie Flannery and her brother, Jack, discover a scroll their father hid before he died, they become the guardians of their family’s 1500-year-old secret—a secret that began when St. Patrick drove the snakes out of Ireland. Now they must stop their uncle from unleashing Patrick’s ancient enemy on the world. PITCH: For Quincy Strange, forgetting to fasten his polo shirt’s top button is just as horrifying as being sucked into a black hole. But when he uncovers a canceled CIA project involving genetic testing on students, he finds his oddities to be his best attributes, as he forms a hypothesis that just might save the lives of the ten test subjects. PITCH: Aggie has been warned not to explore the Great Dismal Swamp near her new home, but a kitten’s sickly cries lure her in one afternoon. Only it’s not a kitten. It’s a monster. Now Aggie must hatch a plan to destroy it before it destroys her. PITCH: When a high-tech energy cube codenamed Pandora’s Box goes missing, twelve-year-old criminal mastermind Alex is hired by The Agency—New Atlantis’s secret intelligence service—to retrieve it from supernatural creatures who wish to use it to destroy the city in return for a cure for her comatose sister. PITCH: Jack teams with his school's mysterious hallway superhero to uncover a thuggish conspiracy going all the way to the principal’s office. But how can Jack expose the truth when he's framed as the evil mastermind? PITCH: Meggie knows Wanda’s miracle-making business is crazy. But when her sister is born prematurely, Meggie’s desperate for a miracle. As Wanda’s assistant, maybe she can learn to make magic and become her sister’s superhero. PITCH: At a mysterious school, Andy learns he must transform into a wild animal for the final project. Now he must choose—bail on his friends, or stay and trade in his skin for a fine coat of fur. PITCH: When twelve-year-old Beatrice becomes homeless after her father disappears, her family moves into a rundown hotel. Bee finds solace in the misfit group of drifters she meets, embarks on a search for her father, and fights to be seen in a world where she’s invisible. PITCH: Everyone believes usable magic died in the Great Mage War along with its practitioners. Then a violent storm infects eleven-year-old Rell with leftover magic which threatens to kill him. In a world now hostile to magic, Rell's survival depends on finding a mage to help him--one who doesn't want him dead. PITCH: When dynamite arrives at the Paris Lost and Found, twelve-year-old Mimi ventures to find the source and discovers Paris is wired for destruction. She must save Paris! But if she asks for help and reveals her escapades, she’ll be locked in the abbey orphanage ‘til the end of the war. PITCH: On Graduation Day, twelve year-old Emily Bray finds a mysterious cadet manual at the West Point Military Academy. In its pages, a cryptic map leads her to the world of steam tunnels and a notorious cadet society. 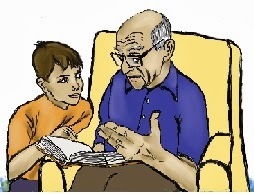 But when her investigations go awry, her father is unjustly accused of theft. To vindicate him, she must race an evil historian to a secret Benedict Arnold left behind. PITCH: On her eleventh birthday, Samantha discovers she can talk to seven boys-turned-frogs who’ve been cursed by her witchy soon-to-be stepmother. The cure? Kisses. But girls have just one magic smooch, and tricking the mean sixth-grade girls into puckering up is only the start of Sam’s troubles. PITCH: In the wake of her brother’s death, thirteen-year-old Molly travels across the country to his dream roller coaster. Will she find a final connection or discover her destination is something entirely different? PITCH: Twelve-year-old Rebecca follows ghostly whispers to an off-limits attic and discovers letters that hint at a tragic family secret. Now she must search a creepy abandoned farm to uncover the mystery—and stop the chilling ghost that stalks her every move. PITCH: Dale Fenwicks’ stultifying summer break is disrupted by the arrival of Atticus Sweeny, a larger-than-life eccentric kid bent on adventure. When Dale and Atticus discover an ancient magic carpet, they’re thrust into the center of a centuries-old battle. Dale must find the courage in himself to destroy the carpet before forces of evil can use its power to rule the world. PITCH: Chandler is a shoulder-guardian angel. Lucy is the infuriating devil on the other shoulder. When a deadly secret society goes after their mortal friend, Chandler and Lucy may have to resort to the unthinkable: working together. PITCH: Darcy finds an abandoned underground city (coolest secret ever) but when she gets lost in the tunnels she’ll have to find her own way out or hope the darkling creatures are nicer than they look. The agent round of Pitch Wars is almost upon us, and I can't wait to introduce the fabulous Team Magic manuscripts to the world! These fabulous folks can really write, and I've been blown away by both the quality of their work, and the level of commitment my fabulous Team Magic people have put into polishing up their manuscripts over the past several weeks. But it's not time to reveal their pitches yet. 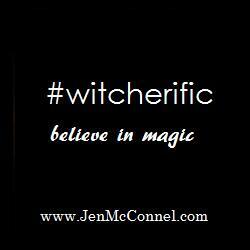 You'll have to wait a few more days for the magic. 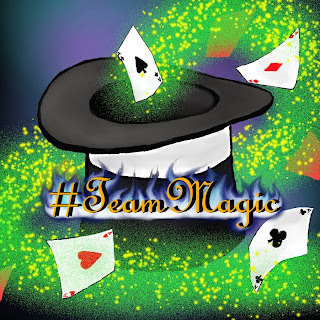 In the meantime, I'd like to introduce you to the amazing members of Team Magic. Today, we're talking with my mentee, Naomi Milliner. Today, I'd like to introduce you to alternate #1: Khyl Shumway. 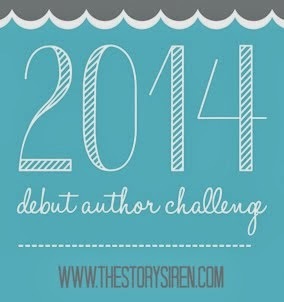 As you know, I'm one of the lucky authors participating as a mentor in Pitch Wars this year. In December, hundreds of hopeful entrants sent their carefully-constructed queries, along with the first five pages of their manuscripts, to their favorite mentors. And we spent days reading through the entries over and over again, discussing our favorites behind the scenes and trying to narrow down the list of fabulous entries to ONE (well, three actually - we did get to pick two alternates). I've always had a ton of respect for the difficult job agents and editors face, but selecting my Pitch Wars team showed me how totally awesome these people really are. I've always said I have the most talented Pitch Wars team ever. Team Magic is truly magical! On Friday, I'll post the first of a series of interviews with my team, so you can get to know the magicians behind the sparkle. But for now, I'm both proud and excited to have this chance to share with you the brand-new cover of Team Magic alternate, Toni De Palma's upcoming novel: THE DEVIL'S TEMPTATION (book two in the Devil series)! Cindi Madsen's latest novel, RESISTING THE HERO (book 3 in the Accidentally in Love series), is out today, and I'm so excited to share it with you all! 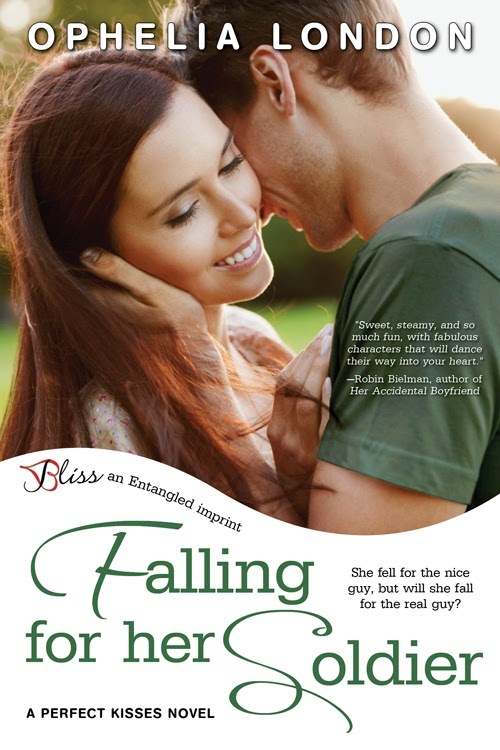 After having her heart crushed one too many times, Faith swears off good-looking, confident men forever. And she's definitely not looking for a hero. I don't often read romance novels for grown-ups, because I get way too blushy at the intimate scenes. 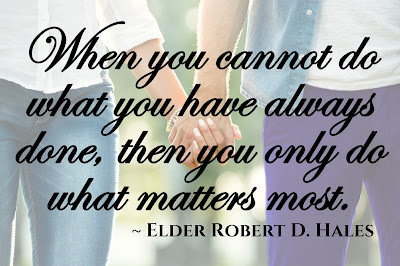 But I've come to love the sweet romances from Entangled Bliss, where I can get all of the swoony, make-your-heart-race-and-your-tummy-flutter romance that I love without the intimate details that make me blush clear down to my toes. That's why I'm excited to help share the news of all the exciting things happening with Entangled Bliss right now. They're sure kicking off 2014 with a blast! Three amazing new Bliss releases are out today, January 13, with heroes you won't be able to resist: Falling for her Soldier by Ophelia London, Resisting the Hero by Cindi Madsen and Love Songs for the Road by Farrah Taylor. As you already know, I'm a huge fan of Anna Staniszewski. Can you blame me? 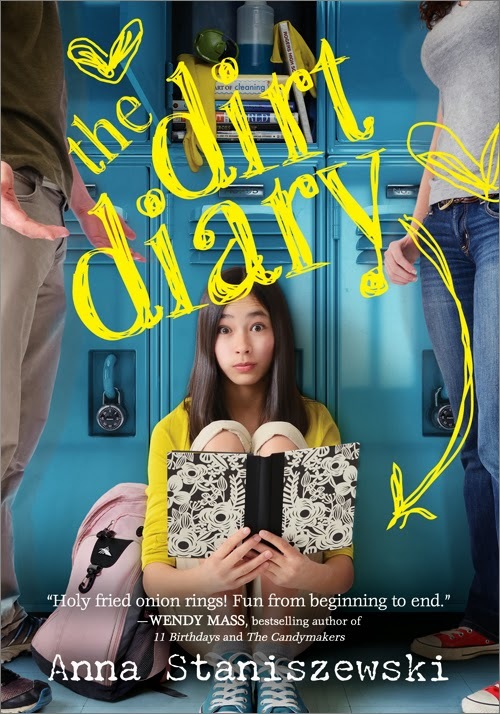 Just look at this adorable trailer for her latest middle grade novel, THE DIRT DIARY. And of course you know that delicious recipes are one of my favorite things. So I'm thrilled to have Anna herself here on my blog today, sharing her favorite dessert recipe with you! If you're familiar with me and my blog, you probably already know that I'm a HUGE fan of Anna Staniszewski. 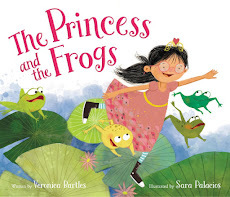 I've raved about her books here and here, and I even wrote about how MY VERY UNFAIRY TALE LIFE turned my "worst day ever" into a total "best day ever." So yeah, when I got a chance to read an advance copy of her latest book THE DIRT DIARY, I'm sure you can guess that I was beyond thrilled! Rachel's parents are separated, but she's certain she can get them back together if she could just get to Florida to talk to her dad in person. 1. I would conquer my fears and start sending queries for my manuscripts. 2. I would simplify my life and say "no" more often. I joined Sub It Club to give myself a feeling of accountability. If I had a whole group of people asking me whether I was submitting my work, I'd be more likely to do it, right? And it worked!! 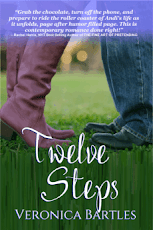 In 2013, I accepted an offer of publication for my debut novel (TWELVE STEPS) to Swoon Romance and signed with my literary agent, the fabulous Jessica Sinsheimer, who fell in love with my middle grade novel, LETTERS FROM HEAVEN. I did say "no" more often in 2013, but I still took on a lot of challenges.